When the book is closed on the 2017 Sonoma County winegrape harvest, “weather” will need to dominate the conversation as Mother Nature continues to impact the efforts of local farmers as they harvest this year’s crop. The year began with record winter rainfall, followed by a mild spring, a scorching summer and finally cooler weather in mid-September. That respite helped bring order to the harvest, though it did not last long as rain showers turned to thunderstorms in late September creating new concerns for farmers. Reports from the vineyards indicate that this year’s extreme weather, particularly the sustained heat waves, will likely impact the size of the harvest. Early estimates were for an average size crop of excellent quality. 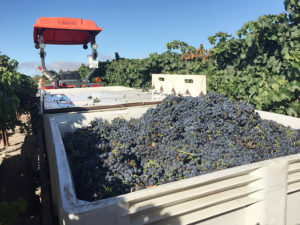 However, in the past few weeks, farmers are reporting some significant weight loss in grape numbers due to the heat, which caused some growers and vintners to pick grapes earlier than they had planned. Around the middle of the month, rain arrived forcing farmers to check their grapes, open up the canopy, and in some instances, use larges blowers in the vineyards to dry out certain varieties prior to harvesting. Currently, about 70% of the Sonoma County grapes have been harvested. The other ongoing challenge facing Sonoma County winegrape growers is the availability of labor and the logistics of moving crews and equipment around the county. While there is not a critical shortage this season, the labor supply remains very tight to the point that some growers are not harvesting on the day they want because workers are not available. Despite all the weather fluctuations and current labor supply, most growers still anticipate harvest being completed by mid-October. With the Pinot Noir harvest almost complete and Zinfandel, Chardonnay, Merlot and other varieties winding down, growers in the Russian River AVA have experienced two different harvests. For early ripening varieties that matured and were picked, nearly every grower cited excellent quality and better than average yields. For varieties ripening during or after the extreme heat wave in the beginning of September, growers experienced a noticeable drop in yields but were impressed by the outstanding quality. Zinfandel, Cabernet, Merlot, Cabernet Franc and Petit Verdot are currently being picked or will soon begin being harvested. The growing season had it all – perfect growing conditions, a number of searing heat waves and late summer rains, while cooler weather in September helped return schedules back to normal. Harvest has been completed for Chardonnay, Sauvignon Blanc and Pinot Noir. Other varieties in the AVA, including Cabernet, Zinfandel, Merlot and Malbec, should be completed in the next two to three weeks. Like elsewhere in Sonoma County, the 2017 harvest has been intense with conditions changing every few days while the struggle to find enough labor remains constant. Harvest should be completed in the next two weeks. Tonnage is down slightly while quality is average to excellent depending on the variety and the vineyard. Much of the Zinfandel and Cabernet Sauvignon is being harvested this week. Labor is tight, optimism is high. Growers are taking advantage of the cooler weather to prolong the time on the vine. Pinot Noir, Chardonnay, Syrah and Riesling are or will soon be harvested. A common refrain has been that brix levels are steady but not quite ready for harvest. Along with labor concerns, weather has been the greatest challenge facing growers, especially over the past two months of the season. Growers throughout the AVA are racing to complete harvest within the next week to ten days. Varieties were impacted differently by the heat throughout the AVA. 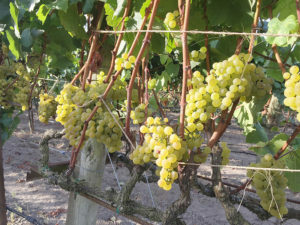 One grower reported his Chardonnay was picked 30% light while his Malbec and Merlot were the same yield levels as last year. Other growers reported both exceptional quality and yields. 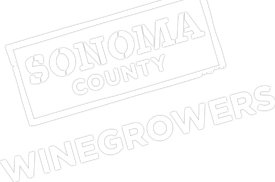 Growers are hoping that hand labor will be freed up to enable Sonoma Valley growers to access crews when they need it since the harvest is winding down in other parts of Sonoma County. Harvest is winding down for Pinot Noir and Chardonnay, with most harvested around the heat wave over Labor Day weekend at exceptional quality. Harvest is currently beginning for Cabernet Sauvignon and Zinfandel on Sonoma Mountain with completion likely around the end of October. Sugar levels and flavors are close. The summer’s heat waves did burn leaves and desiccated some fruit particularly among Merlot. With that said, quality looks good with overall yields slightly below normal. If you want up-to-the-minute updates on Sonoma County’s harvest activities directly from our grape growers and wineries, the Sonoma County Winegrowers have created an online Harvest Tracker to help everyone stay informed on what’s happening in our vineyards and cellars. 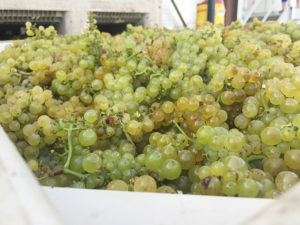 Visit www.sonomawinegrape.org/harvest for the latest news and use the hashtag #SCHarvest on social media.